HENRY M. FERGUSON, the son-in-law of Mr. Robinson, was born in Madison County, Ill., April 30, 1848. He is a son of Alexander and Ann Eliza (Gould) Ferguson, both natives of New Hampshire, who came to Madison County, this State, in 1831. There both parents died. Mr. Ferguson was next to the youngest of a family of eight children, of whom four are now living: George, who was a Lieutenant in Company A, One Hundred and Twenty-second Illinois Infantry, is now an attache of the Agricultural Department at Washington, D. C.; Solon is a lumberman, located at Liberty, Ind. ; Helen is the wife of Samuel R. Waggoner, a farmer of Madison County. Mr. Ferguson was brought up on the home farm, receiving a good rudimentary education in the public schools of the vicinity. He completed his studies at the McKendree College, of Lebanon, this State, and was thereafter engaged in teaching for some years in Madison and Jersey Counties. He came to his present farm in the fall of 1875. Mr. and Mrs. Ferguson were married October 10, 1872, Mrs. Ferguson being, as stated in her father's sketch, Miss Elvira Robinson. They have had six children, but of these three died when quite young. The surviving children are: Gertrude, Nellie and Eugene. Originally a Republican, Mr. Ferguson has espoused the Prohibition cause, believing that upon the purity of this party does the future strength and power of our nation depend. He is a member of the Presbyterian Church, and for seven years served as Elder. He is Vice-president of the Sunday-school Association. 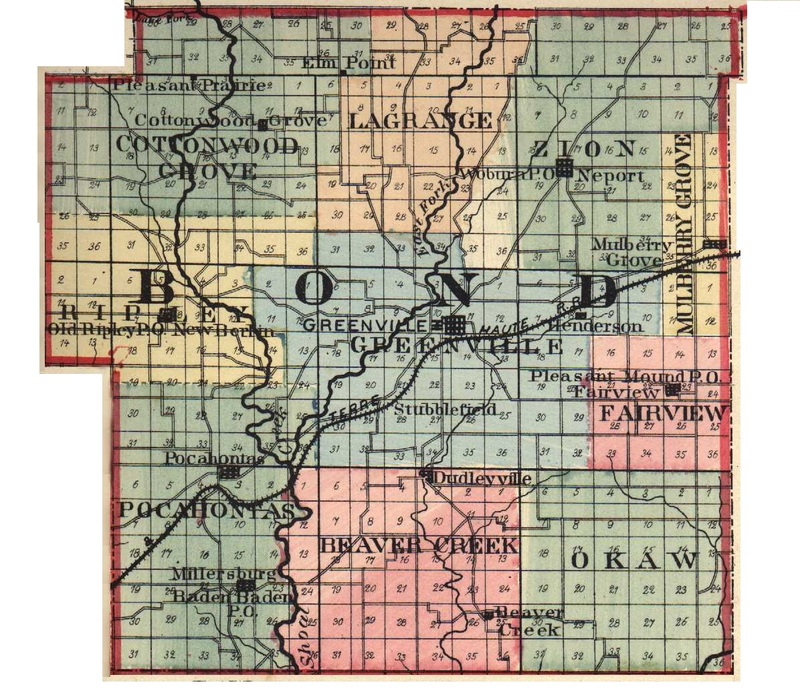 Extracted 20 Dec 2016 by Norma Hass from 1892 Portrait and Biographical Record of Montgomery and Bond Counties, Illinois, page 281.